Our Zoning Hearing was a week ago Thursday to try and save our Buff Orpington and her Friends, but this just turned into a legal lesson on futility. Definition being: Unsuccessful at this point in time. We received the bad news via a letter from the Administrative Law Judge, stating that our request for variance was denied. It was not so much the denial that bothered my wife and I, as it was the logic behind the decision, as explained in the letter. So, the ALJ does not have the authority to “grant such a variance?” OK, so what is the point in allowing us to file and request a variance knowing up front that the court does not have the authority. Constitutionally we must be allowed our day in court, but I think this is a little ridiculous. It seems that the lesson is just a way for the county to increase a few dollars in revenue. Yes honestly it costs them more in time and labor than we had to pay for the time in court, but isn’t that the way of any Government-Spend $200 to increase $100 in revenue. According to the ALJ and the attorney any further pursuit would be denied on the same grounds, so we will lose our chickens within the next 30 days. So what is the next step? How about a grassroots movement in Baltimore County, on behalf of organic gardeners, homesteaders, survivalists, or just lovers of pet-chickens. 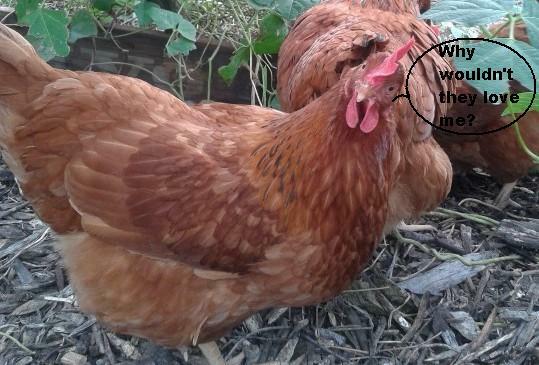 With the current County law allowing chickens on lots above an acre, this disallows many who would love pet chickens. As stated in previous posts, Baltimore City and Annapolis City have adopted pet chicken laws that are very friendly to the homeowner, not to mention many major cities across the Country: New York, Los Angeles, Las Vegas to name a few. We have joined a like-minded group on Facebook-http://www.facebook.com/Chickenrevolution or http://www.facebook.com/Baltimorechickens and will begin to pursue our County Council Members to find those sympathetic with our cause. If there is no one sympathetic on the board currently, I guess we would need to find a candidate who is capable for the job as well as sympathetic to our cause. Beyond Baltimore County, anyone that has been through this fight, or would have comments, suggestions, or advice, please also join and add your two-cents. We are very open since we are just beginning. I thank everyone not only for previous support, but also for any help that may be offered.